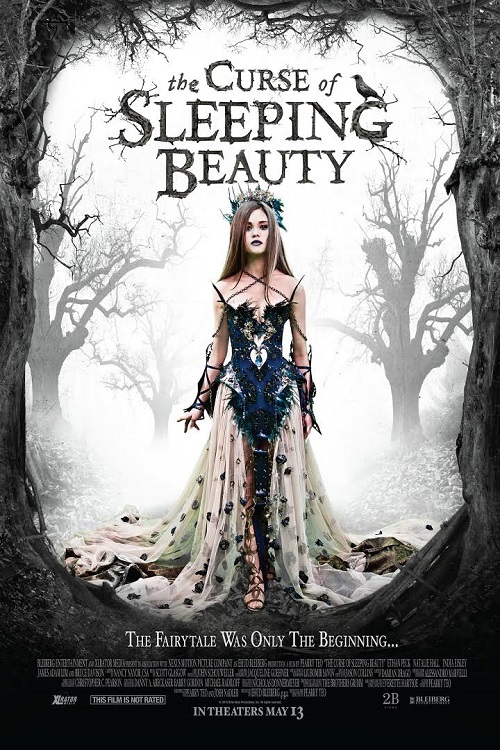 I happened upon The Curse of Sleeping Beauty by chance while browsing Netflix the other night, and while it didn't look too promising I decided to give it a try. While it is more dark fantasy than horror, I found myself enjoying this one for its beautiful visuals and decaying yet fascinating mansion. Synopsis: A man inherits an ancestral mansion and an ancient curse stemming back to the Crusades. As he battles to keep demons in the house at bay, he tries to awaken the beautiful Briar Rose to rescue her from a terrifying netherworld. This film has gotten some nasty reviews, and while I admit it isn't the best thing on Netflix, I still had fun watching it! Plus, it's a whole lot better than most of the "horror" films they have on there. The production values are high, the costumes and sets are to-die-for, and it has some solid action sequences. Though the story could have used a bit more development and the characters could have behaved more realistically (they seem to unravel the mystery a bit too easily), I did enjoy the ethereal dream sequences with the lead male and Sleeping Beauty as well as the macabre set dressing of the mansion itself and all its dark, secret nooks. Give this dark fairytale a watch on Netflix or on Amazon! I was thinking about checking this one out and now I will. Thanks! Ooh! Visually, this does look like a gem! Yeah, the trailer did make it seem a bit...generic. But I'll definitely check it out, anyway! Hmmm, was thinking of watching but skeptical, I may try it!